Solar wind flowing from this coronal hole should reach Earth on April 6-7. Credit: SDO/AIA. SLIM CHANCE OF FLARES: NOAA forecasters estimate a slim 10% chance of M-class solar flares today. None of the sunspots on the Earthside of the sun has the kind of complex magnetic field that harbors energy for strong eruptions. 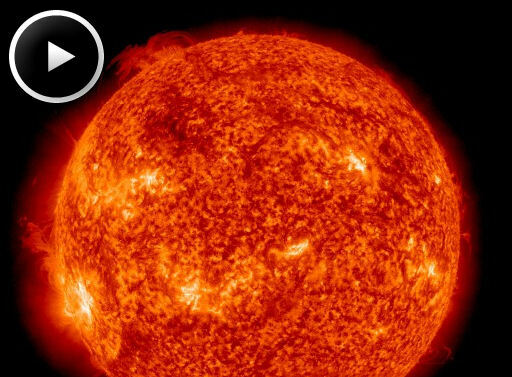 Solar flare alerts: text, voice. Much of the northern filament remains intact, which means more eruptions are possible in the days ahead. Stay tuned. "It was a beautiful sight in very clear skies," says Aikkila. 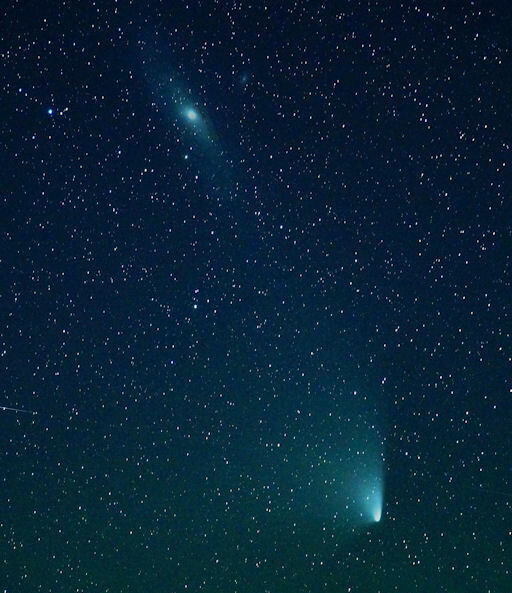 At closest approach on April 3-4, the comet will be just a few degrees from the galaxy. Deep exposures might even show the comet's tail touching Andromeda's outermost spiral arms. In fact, no physical contact will occur; the comet is still in the solar system while Andromeda is 2.5 million light years away. Both the comet and the galaxy are barely visible to the unaided eye as faint fuzzy patches in the western sky after sunset. To find them, scan the sky with binoculars or set your GOTO telescope to "Andromeda." More about Pan-STARRS: NASA video, 3D orbit, ephemeris, light curves. On April 2, 2013 there were potentially hazardous asteroids.